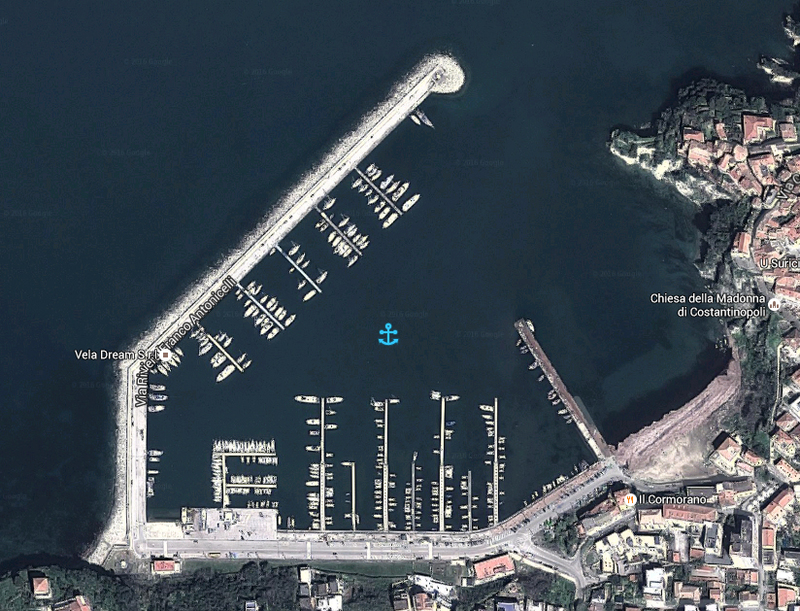 The tourist port of Agropoli is located in Latitude 40 ° 21 ‘N and longitude 14 ° 59’ E in the west of the city. 2 area dedicated to fishing units within 10m. and over 10mt. On the outer breakwater there is the communal area devoted to long 57,50 mt transit units that can accommodate from 10 to 40 meters (letter H) and on the wharf there is the Coast Guard, Office of Maritime District of Agropoli and the Services building that hosts: the office of the municipal wharfs, port services and transit, the office of civil protection, training room – courses, civil protection – rescue, cash cards and refills water and electricity, toilets and disabled toilets, showers, laundry room. It is a port built inside the creek that opens south of Punta del Fortino (about 7 M NNE of Punta Licosa) and consists of an outer breakwater elbow oriented respectively N and NE along 572 meters, a wharf, with a large yard behind, long 327 meters and a breakwater oriented to NNW along 159.43. The mouth of the port has a width of 145 meters and the subsequent evolution of the basin has a diameter of 165 meters; the seabed for the landing and the evolution in the basin, ranging from 6 to 5 meters for a total availability of approximately 1,100 berths. Agropoli's port maritime state property and maritime works - Campania Region The ground areas of the port have a total area of 31,051 square meters. 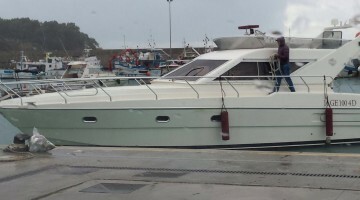 Its detailed functions with regional executive decree AGC Transport and Traffic n. 233 of 30/12/2011 (BURC n. 2 of 09/01/2012).